Welcome to the JVNP 2.0 Update featuring a primary JV request courtesy of fellow JVNP 2.0 Partners Florence Christophers + Michael Collins (2nd Annual Kick Sugar Summit launch affiliate program JV invite), Buzz Builders (Anik Singal – Inbox Blueprint 2018 – The Final Launch launch, Aidan Booth, Steve Clayton, Chris Keef + Todd Snively – 7 Figure Cycle pre-launch), and More … in Today’s commission rich sugar free niche edition. The Kick Sugar Summit is open for registration and we’d appreciate your help spreading the word. Fellow JVNP 2.0 Partner, would you be interested in earning commission referring others to the summit? We pay 50% commission (of $97/$129) for each referred digital product sale. Short on time? Gain access to your promo tools and more here. – Free Pre-Registration is already underway – When your followers Pre-Register through your unique tracking code, the resulting summit sales will net you a 50% commission on the digital product sales. – Feb 25th: Pre-Launch Content Release. – March 2nd: Pre Sales begins – ***OPEN CART DAY*** This is a deeply discounted price to stimulate early sales. – Duration 3 days. – March 5th: 8:00 AM EST – Summit Begins. – March 5th through 11th: Summit In Progress – Sales will be offered at Live-Event pricing. – March 12th & 13th: Encore Days. This year’s line up is world class! – World famous folk singing legend Judy Collins. – Dr. Neal Barnard – Founder of the The Physicians Committee for Responsible Medicine & Author on 7 books on wellness. And 27 other world famous sugar reduction and sugar addiction specialists! >>> KSS Affiliate Registration Page. WHAT IS THE KICK SUGAR SUMMIT (KSS)? 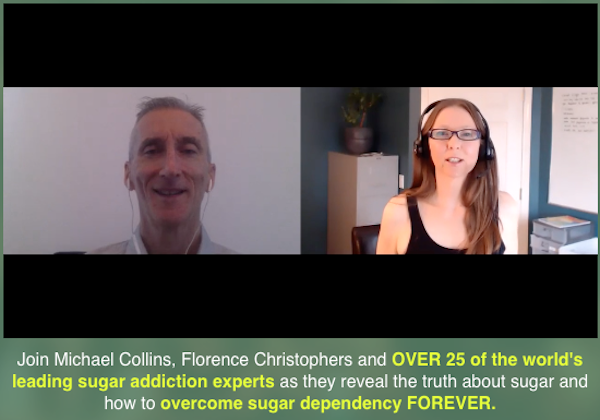 KSS is a 7-day online conference consisting of 27 presentations from sugar addiction experts including doctors, researchers, coaches and authors. HOW IS THE SUMMIT STRUCTURED? Each day of the summit, 5 new interviews will be posted on the KSS website. These presentations will be available for FREE viewing for 24 hours — from midnight to midnight Eastern Time. At the end of the 24-hour FREE viewing period, that day’s presentations will be taken down from the site and will be replaced by the next day’s presentations. This post-and-replace process will go on for the 7-day duration of the summit. Once presentations are removed from the site — because their 24-hour FREE viewing period has expired — they will only be available as part of the Kick Sugar Summit Take-Home package. WHAT IS IN THE KSS TAKE-HOME PACKAGE? Information. Lots of health-giving, sugar defeating information! – 27 video interview presentations. – 27 audio presentations (mp3 format). WHO IS THE SUMMIT INTENDED FOR? Anyone looking to further his/her knowledge of sugar reduction, sugar addiction and health. The majority of the talks are presented at an easy-to-understand level. – We also have a handful of advanced presentations intended for the more scientifically-minded attendees. It’s for the general public, medical professionals, coaches and health educators alike. When you become an affiliate you will find your unique link in your affiliate back office under “link generator”. This link can be included in emails, as well as tweets and FB posts. Each time you mail your email list, post on social media or promote the event in any way – all of your people will then be registered through you own personal link. Good question. When someone registers for KSS through your link, the registrant is tagged as your customer. If and when that person purchases the KSS Digital Package, you will receive a commission for the sale. For all purchases made through your link — or by your registrants — you will receive 50% commission on the sale. At the event week price of $97.00, that comes out to $48.50 per sale. Once the event ends, the price will increase to $129.00, or $64.50 per sale. For now, our primary focus is on event week sales. 100 sales = $4,850.00 !! This is easier than you think. Last years conversion rates were through the roof! The Kick Sugar Summit is a win-win for everyone. The attendees have an opportunity to learn from some of the best of the best sugar experts in the world for FREE. And we not only get to help the attendees help themselves, but we also have a grand opportunity to earn a solid income to help further our missions. Celebrating 10 years, Over 8 Figures paid out to Affiliates, and More! SEnuke TNG Version JVzoo launch….Over Eight Figures in recurring commissions have been paid so far! Its been a decade since SEnuke was released and now were celebrating with a special Nuke offer that’s almost guaranteed to bring you years of recurring commissions as we take SEnuke into the next decade. Joe Russell – SEnuke TNG JV page. Grab your share of $40K in JV Launch Prizes & More! The Secret Mirror is a unique approach, designed from Dr. Joe Vitale’s own life experience, based on scientific techniques that are proven to help bring to the surface and identify personal struggles – including limiting beliefs, success blocks, counter intentions, and self-sabotaging actions. The Secret Reflection is designed to accelerate your success even further. 50% commission across the funnel. $40K in JV Contest Prizes. Andrew Shorten + Paul Gunter (Greater Minds – The Law Of Attraction) Present Joe Vitale’s The Secret Mirror 3.0/The Secret Reflection affiliate registration. Travis Stephenson and other fellow JVNotifyPro 2.0 partners are waiting in the wings … keep your eyes on your Inbox, and follow the action in the JVNP 2.0 Premium VIP JV Announcement archives.